You’ll be met with cheerful smiles and happy greetings as soon as you cross the border between South Africa and eSwatini. 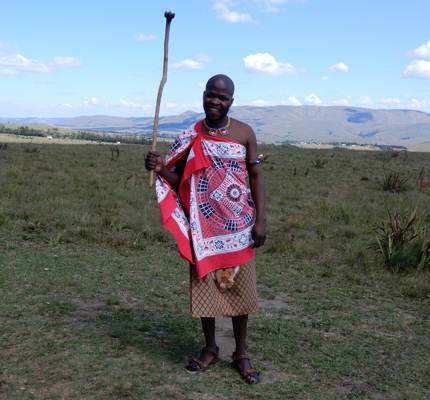 The Swazi people are a welcoming bunch and incredibly proud of their country and culture, which means that they’ll never miss an opportunity to share it with you. 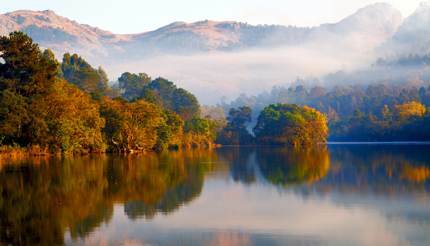 Just a three and a half hour drive from Johannesburg’s O.R. Tambo airport, you’ll find yourself at the eSwatini border crossing. The close proximity means that you can combine a South African holiday with a trip to eSwatini to enjoy the country’s treasure trove of wildlife and culture. The best way to travel between the countries is to either hire a car directly from the airport or hop on one of the many luxury minibuses waiting to ferry you across the border. The TransMagnific minibus company can meet you at O.R. Tambo airport and drop you off at a number of locations in eSwatini including Mbabane, Manzini, Ngwenya and Matsapha. eSwatini is made for adventurers who enjoy adrenaline-inducing activities – caving, white-water rafting or abseiling to name just a few. If you want to get your heart racing, an epic zip-lining canopy tour at Malolotja Nature Reserve in northwest eSwatini is sure to do it. You may have a wobbly rope bridge to conquer, but you’ll be surrounded by lush forests and towering cliffs in a beautiful setting. For a less conventional but more intimate safari experience, the Mlilwane Wildlife Sanctuary horseback safari is a must. 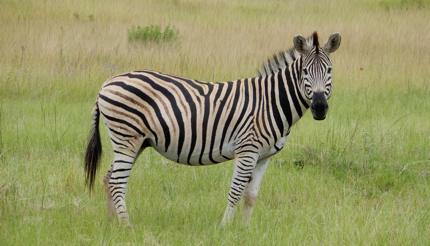 You can get much closer to the resident zebra, impala and kudus on the back of a horse than you can in a safari jeep. The sweeping plains and looming mountains also help you feel like a real-life cowboy. Mkaya Game Reserve in east eSwatini is best known for its large population of southern white rhinos. 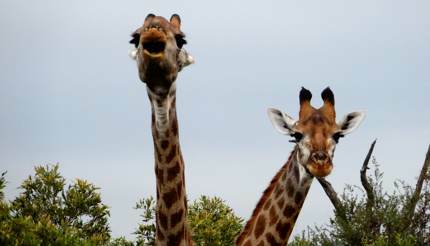 This protected area is also home to indigenous cattle, antelopes, elephants, giraffes and crocodiles, as well as an exotic list of bird species. Similar to the cuisine found in South Africa, eSwatini showcases a lot of braised meats and pap, a porridge made from maize. Traditional stews are also part of the main foodie fare, with local fresh fruits – juicy pineapples and sweet papayas – served for dessert. And even though the country is landlocked, various fish dishes imported from nearby Mozambique feature heavily on the menu, too. 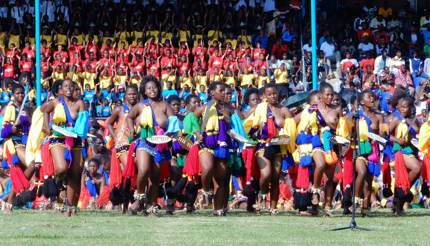 If there’s a celebration to be had, the Swazi people certainly do it in style. The kingdom comes together at various important occasions including the King’s birthday on April 19 and the annual Reed Dance in late August to early September. 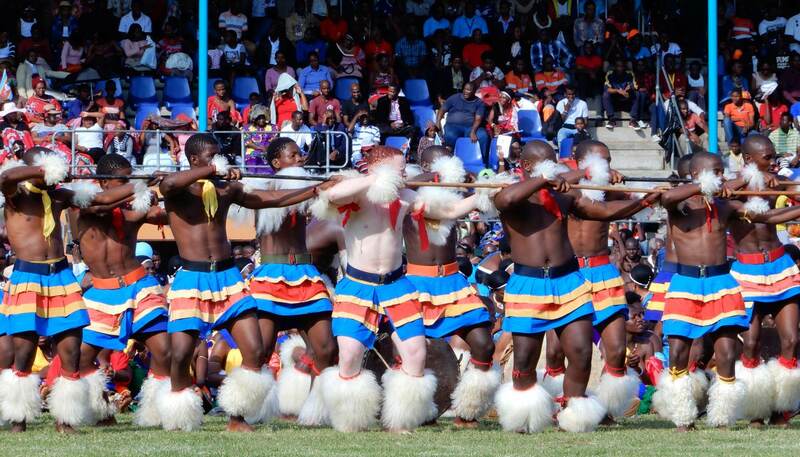 Visiting during these times is extra special as you’ll be right in the thick of all the pomp and ceremony, which usually involves elaborate costumes and traditional dancing with extremely high kicks and pulsing drumbeats. The Swazi Candles Centre, located in the Malkerns Valley, is popular for good reason: they are a community-led project which hires local staff and strives to give their employees a fair living wage. The main products of centre are candles of all shapes and sizes. 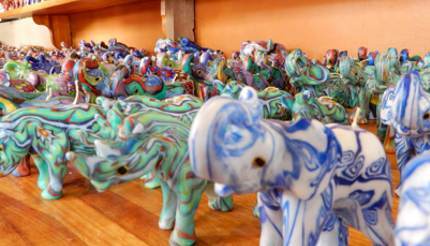 The animal candles are especially cute – talented sculptors can make 35 to 40 elephant-shaped candles a day in the workshop onsite. You can also have a go at making a candle for yourself to remember your trip by. 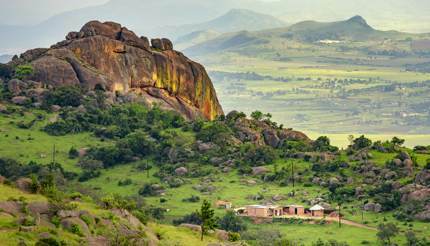 With rolling mountains, lush valleys and verdant plains, eSwatini’s landscape is a feast for the eyes. The best way to see the scenery is to hike. For breathtaking views of the Ezulwini Valley and Sheba’s Breast Mountain, head up the morbidly named Execution Rock – so called because criminals were forced to leap to their deaths from it before the practice was banned following the country’s independence in 1968. Trails of various intensities, all reaching the 1,110m summit, can be accessed through Mlilwane Wildlife Sanctuary, so grab a map from the activity centre and get going. 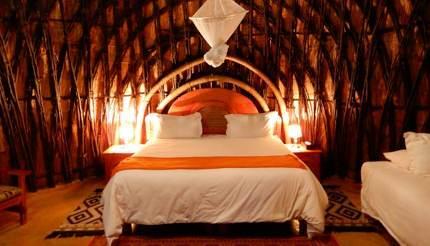 Phophonyane Falls Ecolodge is home to beehive huts modelled on traditional Swazi dwellings but a bit more upmarket. These sizeable huts have vaulted ceilings and verandas that are perfectly placed to watch the sun rise over the mountains – if you manage to tear yourself from the comfortable beds in time. For the brave at heart, spending the night at the luxurious Stone Camp in the Mkhaya Game Reserve is an unforgettable experience. The rooms here have no windows or doors – only low walls and a gate to keep the prowling hyena and jackals out while you (attempt to) sleep. This is a chance to savour true wilderness – you don’t have to tell anyone that you slept on a magnificent four-poster bed though. eSwatini is the perfect place to visit if you’re looking to venture off the beaten track. A hidden gem, the country doesn’t see much tourism yet, which is great for visitors who want to take advantage of an African holiday they don’t have to share. South African Airways offers daily flights from London Heathrow to Johannesburg on their new A330-300 from £781. South African Airways also fly direct from New York, Perth and Hong Kong to Johannesburg. 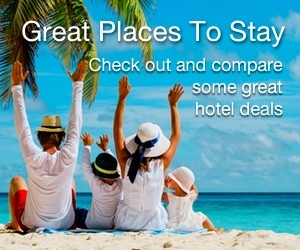 Book now on flysaa.com or call 0844 375 9680.